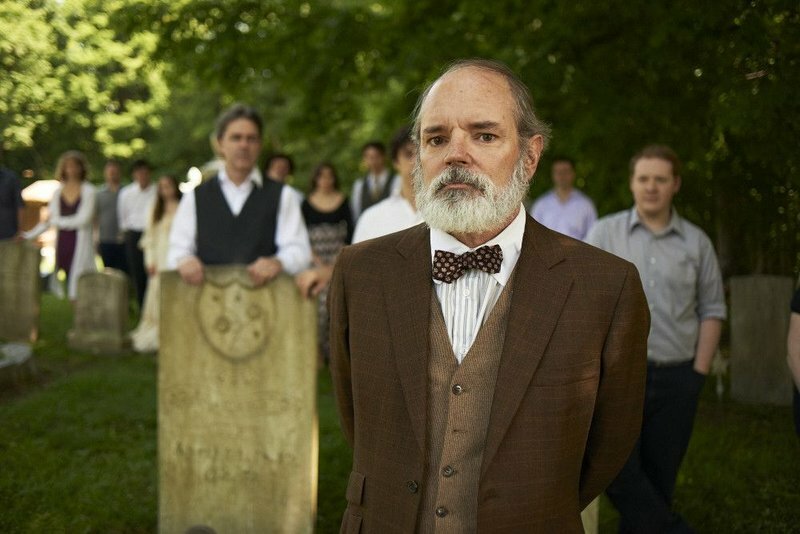 The Thornton Wilder classic is on the summer roster of shows. Thornton Wilder spent his formative years in China and wrote his iconic play “Our Town” in Zurich. And yet, we think of Wilder’s New England roots when we think about “Our Town.” He set the play in fictional Grover’s Corners, N.H., and it’s not a stretch to conclude that Maine influenced Wilder in his creation of the play. Wilder’s father was born in Calais, and his grandfather practiced dentistry in Augusta. His family vacationed in the Kennebec Valley. This year being the 75th anniversary of “Our Town,” it made perfect sense for Dawn McAndrews to include it in the summer season at the Theater at Monmouth. Monmouth doubles well as Grover’s Corners. Wilder describes a theater, a graveyard and a church. Right in a row, Monmouth boasts a theater, a graveyard and a church. The Monmouth season opens this week with the Elizabethan play “The Knight of the Burning Pestle” by Francis Beaumont, a contemporary of Shakespeare. Monmouth is the Shakespearean theater of Maine, but McAndrews opted for only one Shakespeare this summer: “The Taming of the Shrew,” directed by Sally Wood. The other mainstage title is Joan Didion’s “The Year of Magical Thinking,” a one-woman piece starring longtime company member Janis Stevens and directed by McAndrews. But it’s “Our Town” that has summer written all over it. McAndrews tapped longtime company member and Bowdoin College theater professor David Robinson to direct. 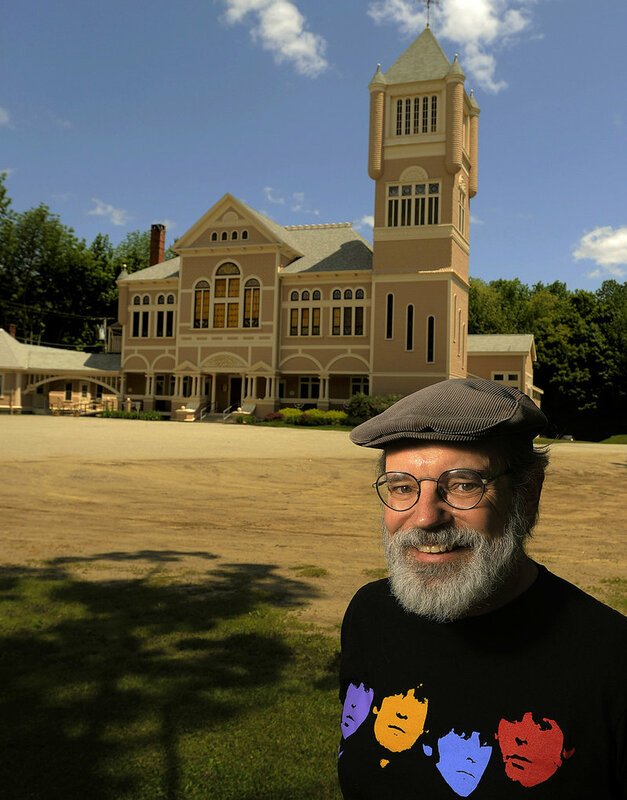 He became interested in “Our Town” when he heard American playwright Edward Albee describe it as “the perfect play” during a talk at Bowdoin a few years ago. Albee was right. This is the perfect play: Not at all sentimental, but forthright, difficult and honest — and told simply with a bare stage and minimal props. “Our Town” debuted in the Princeton, N.J., in 1938 and moved to Broadway, and earned Wilder a Pulitzer Prize for drama. The play has attracted great actors over the years. Orson Welles, Frank Sinatra, Paul Newman, Hal Holbrook, Spalding Gray and Helen Hunt have all taken on roles. In 2009, a revival opened off-Broadway and had a 644-performance run. “Our Town” has suffered in reputation over the years because it is so widely produced. It’s a favorite of high school drama departments and community theaters. Because of its exposure and familiarity, it has become cliche and quaint. Monmouth aims for a more thoughtful production that does not gloss over heartache and loss or sacrifice the bitter for the sweet. Robinson intends to take “Our Town” to the emotional core as he tells the story of the Webbs and the Gibbs and the progression of life over a decade in the early 20th century. The director has tapped longtime Monmouth actor Mark Cartier to play the role of the Stage Manager, who narrates the play. The Stage Manager leads the audience on a journey as narrator and guide through Grover’s Corners. It’s a well-suited role. Cartier has been at Monmouth so long, he recognizes a lot of faces when he looks out at the audience. Cartier lives in West Bridgewater, Mass., most of the year, but comes to Monmouth every summer to act because “they give me opportunities I could not get in Boston. I’ve had the privilege of playing an amazing array of roles,” he said. He also loves the challenge of performing work in repertory. Monmouth opens a new play each week for the next four weeks, and presents them all at once as the summer progresses.